#STRONGCAMP Toronto left so many amazing memories for many of us that will be cherished forever. I still don’t even know what to say. What happened this past weekend wasn’t just a big bootcamp, or a fitness “event”. It was a women’s movement, something that we will always remember. Personally, it was monumental not only in my fitness career, but for my personal growth as well. Friday night was meet and greet night, such a fantastic ice breaker and the start of a great team builder. Even though there was no specific instructions to do so, everyone tried to make their way around the entire room to introduce themselves. It was clear that even at the initial meeting, there were going to be some pretty special connections to be made throughout the weekend. The aura in the room was so full of brightness, and positivity. Meet Jessie Hilgenberg. Wow!!! Can you say, sister from another mother! Oh my God, our connection was insane. I felt like I’ve known Jessie all my life, yet we’ve only conversed over emails and followed each other on social media. Jessie is an IFBB Figure Pro, online coach, and STRONG Fitness Magazine’s STRONGCAMP director. Jessie has a special quality about her. She’s so compassionate, energetic, and full of positive energy. Her spirit is strong and confidant, yet she so graceful and humble. She addressed the group about the camps direction and expectations of everyone with such calm leadership, and was so excited to have everyone there. Saturday morning, I kissed all the boys and off we trotted to the host hotel to meet everyone. We all took a bus ride to EPC in Burlington where we spent the day. Our day consisted of a big group warm up, then the big groups were divided into 3 sections. One section was lead by Jessie. The other section was lead by online coach and cover model Rita Catolino, and the third was lead by me. We each led our groups through a series of exercises that were set up in a circuit format. The group rotated through every station and after the circuit was complete, the group changed trainers until everyone went through each section. Joe Arko, owner of EPC, was kind enough to surprise us with a dj for this portion. The entire STRONG team was in attendance and right in there getting down and sweaty, and helping out. 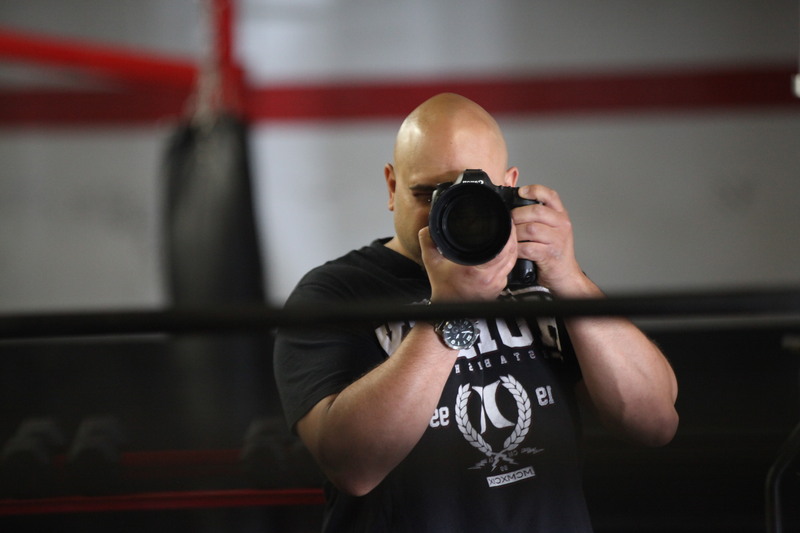 Dave Laus was incredible at capturing awesome moments in his lens, and of course Paul Buceta, founder of STRONG Fitness magazine, was capturing not only moments of his own in his lens, but in his mind too. There wasn’t a moment I didn’t see a big grin on his face as he watched what was happening. You’d think he won the lottery or something! 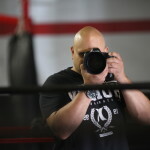 There was also cinematographer Pouyan Fard there filming every piece of footage he could. I honestly can’t wait to see what editing he comes up, he’s always amazing at capturing the best moments! After the workout portion, we sat down and listened to Rita share her inspiring story. We also watched and learned from Jessie’s informative exercise form and workout seminar. She touched on workout tips, proper form involving examples with partners, and touched on some supplement and nutrition information. After lunch, we then all got together to listen and share our own personal STRONG stories. Jessie shared such her beautiful and heartfelt story. It truly showed me that strength is a state of being, and a way of life, and of survival. Her inspiring story gave me the strength and courage to take on the hot seat. I shared my own story with everyone. Although I’ve told my story to many troubled teenage girls before, and have touched on it briefly in Blogs, it was actually the first time I have shared it to a group of women that I had so quickly bonded with, who I now consider my peers. I felt extremely vulnerable, sick, and nervous but I saw in some of their faces that some have gone through, or have known someone who is going through something similar. It gave me the strength to carry on. The fun continued later that evening at STRONG Fitness magazine’s headquarters #sessionstudios at the industry party. Everyone had a great time relaxing, taking pictures, sharing stories, and of course, bonding some more. The weekend finished on Sunday with a morning yoga session lead by Jessie. It was the first time I ever did yoga so I was quite excited about it! I managed to follow all the moves relatively well until I did a face plant on my yoga mat attempting the crow pose! I don’t think Dave or Paul got that one on camera! Then we did a fun laughing exercise which left everyone feeling so great about themselves. It was actually hilarious to see everyone participate! Everyone was then given a copy of the new issue of STRONG that will be on news stands in a couple of weeks with the gorgeous Ana Delia De Iturrondo on the cover. I am honored to also be featured inside (can’t share yet!) with a kickass workout of my own designed by Tony Wallace Fitness. Everyone was given STRONG dog tags and a big hug from Jessie. We exchanged final words and left with a heavy heart of happy, wonderful emotions. To every single woman that attended this weekend, the STRONG team, the volunteers, the staff, and to Jessie, I thank you all from the bottom of my heart for allowing my to get my strong on. You have all made an impact on my wonderful STRONGCAMP experience, and I love you all. 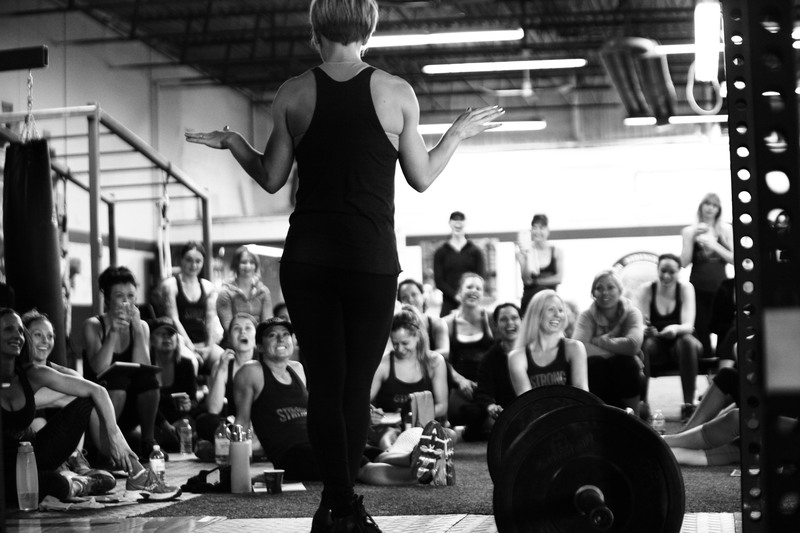 If you haven’t been to a STRONGCAMP yet, I highly recommend you take a look at the schedule at https://www.strong-camp.com/ and book yours today, you won’t regret it! Above: Here I am chatting it up on Friday night at the meet and greet. Above: Paul Buceta, founder of STRONG Fitness magazine, prouder than ever. Above: Jessie Hilgenberg’s informative exercise form and workout seminar. She touched on workout tips, proper form involving examples with partners, and touched on some supplement and nutrition information. Above: It’s never a perfect party picture unless you get photo bombed by Paul Buceta! Awesome Tasha, I can’t wait to see you there, looking forward to you being a part of it! !